Cleaning can be time consuming, and you may not always have the time to make sure your home or business is a clean as it should be. You may also just want to spend your time doing things other than cleaning, such as socialising, or simply relaxing after a busy day at work. We can help you to make the most of your time, by providing you with a reliable domestic cleaning in London and surrounding areas. 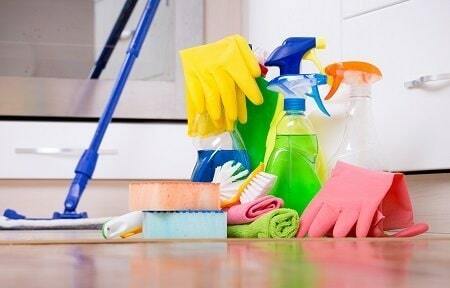 All of our domestic cleaners for hire are fully vetted, insured, trained and provide an excellent cleaning service. If you’re inviting someone into your home or business, you want them to be trustworthy. We recognise that trust is a vital part of any high quality cleaning company, and we guarantee the honesty of all our cleaning professionals. Keeping your home or business clean is vital. A dirty environment can cause damage to your furniture and belongings, and can adversely affect the health of anyone who lives in your home, or works in your business premises. That’s why it’s so important for you to find a reliable domestic cleaning service. Our expert domestic cleaners always arrive on time and ready to work. If you’re going to hire a cleaning service provider in London you want a transparent service, one where you know exactly what to expect, and what you’re paying for. Speak to us and we’ll discuss your cleaning needs with you; you’ll know precisely what house cleaning service you’ll get, with no secrets or hidden costs. Our company objectives are aimed at giving you the top quality cleaning you need. You get the benefit of all these objectives. Affordable cleaning services in the London area. Use of environmentally friendly cleaning products. Unique cleaning plans carried out by experienced cleaning professionals. Development of lasting relationships with customers. Working with The Top Domestic Cleaning, you aren't restricted in the type of cleaning service you receive. We know that our customers all have different needs, and we’re happy to discuss you requirements with you. If you need help with everyday household or business cleaning that’s fine. We can also help if you’re renting a property and need help with end of tenancy cleaning. If you’re having a party we not only help with your preparation, but also provide professional party help. When the party is over we help with cleaning up the party mess. Hire us to do all the work and you can relax and enjoy the party. If you’re looking for a top cleaning company in London we have a helpful and friendly team waiting to speak to you. Call us on 020 3322 8905 and book the best domestic cleaning in London.